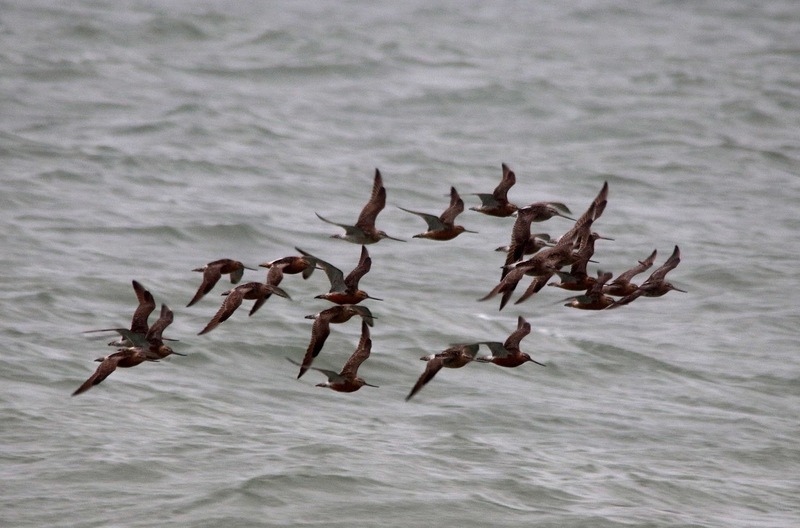 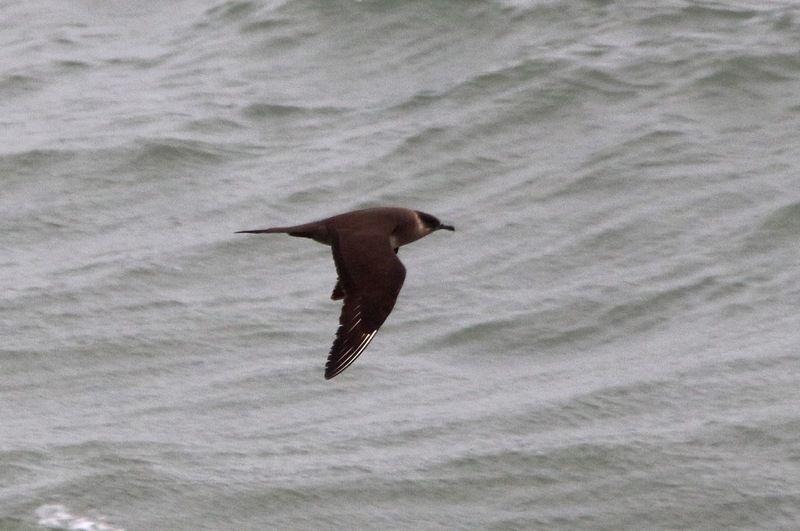 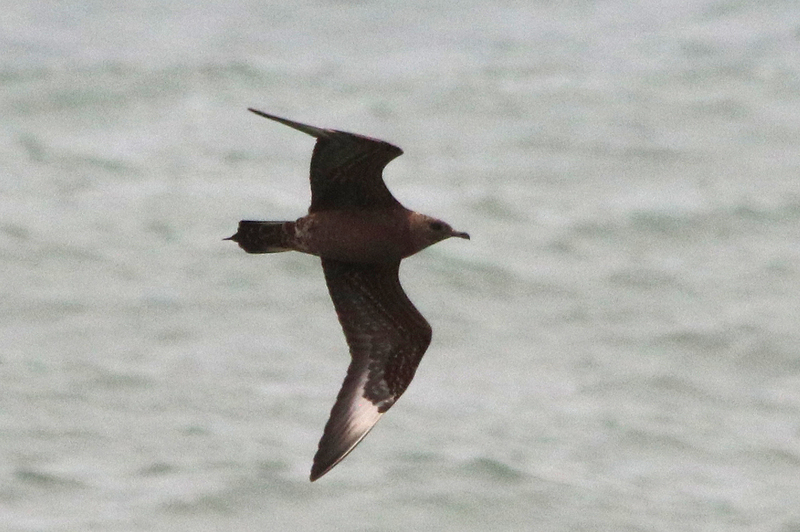 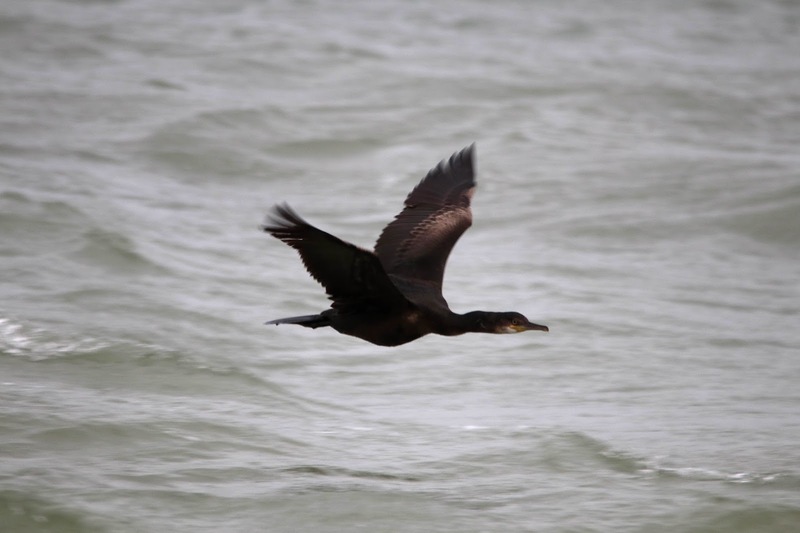 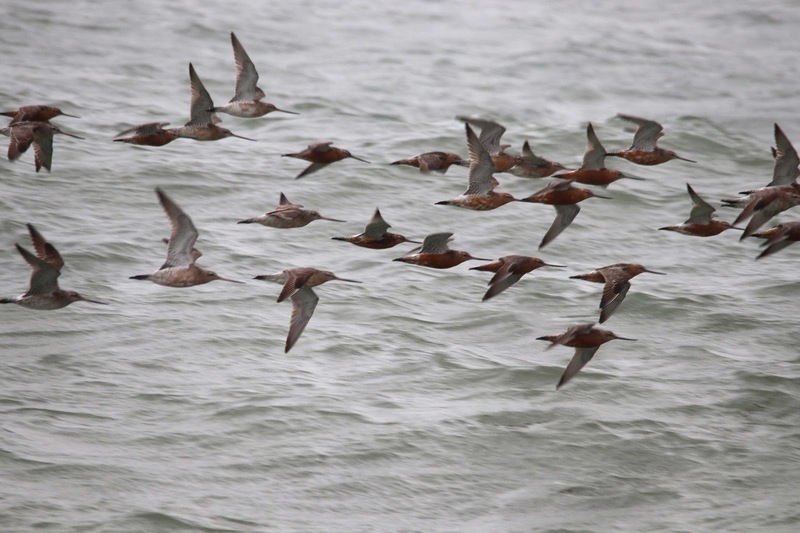 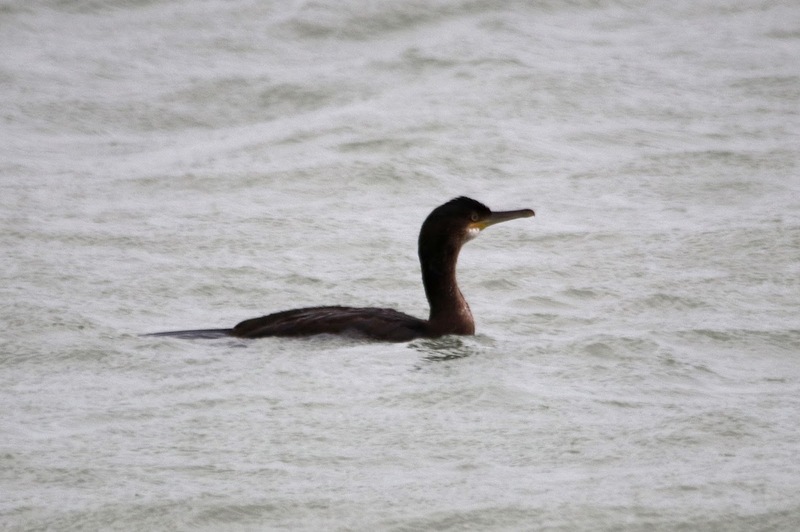 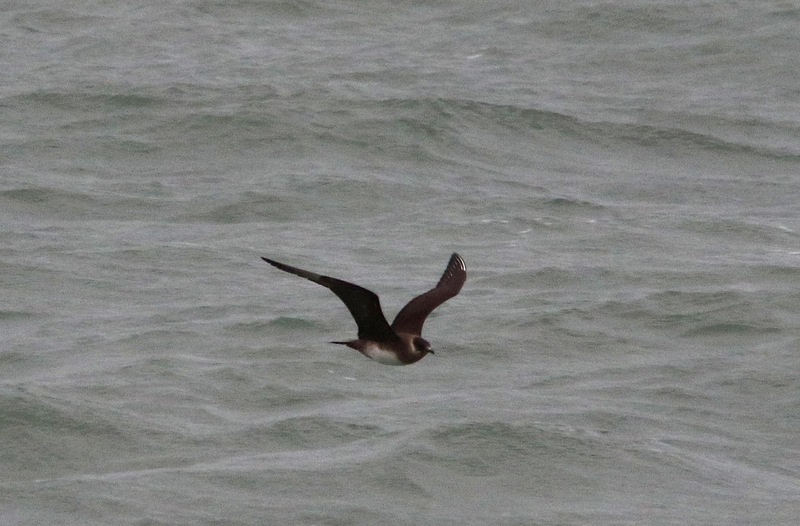 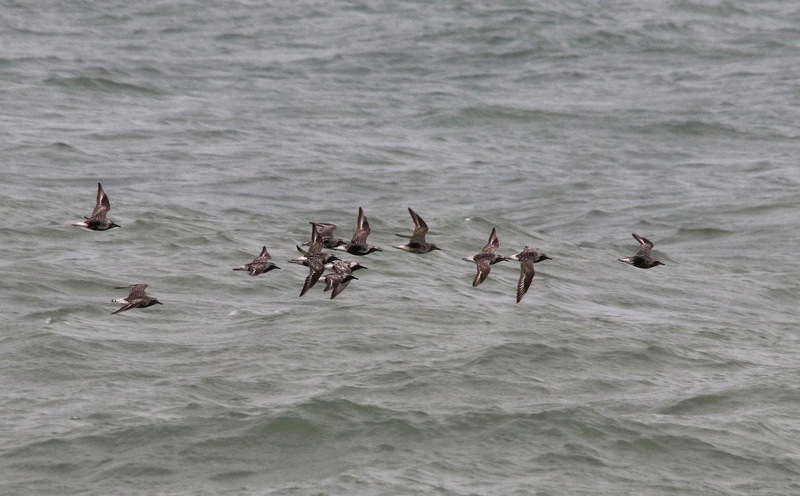 A wet morning with a light southerly breeze produced an excellent seawatch with day totals of 106 Common Scoters, a Sooty Shearwater and a Shag, 80 Grey Plover, two Whimbrel, 237 Bar-tailed Godwits, 100 Turnstones, 80 Knot, 50 Sanderling, a Great Skua, 34 Little Terns, 29 Black Terns, 1015 Sandwich Terns, 750 Common Terns and 107 Kittiwakes. At least six Arctic Skuas appeared to be lingering offshore and two juvenile Yellow-legged Gulls were feeding along the beach. Very quiet on the land but a Whinchat was seen by the New Lighthouse and nine Swifts and a Tree Pipit flew over. 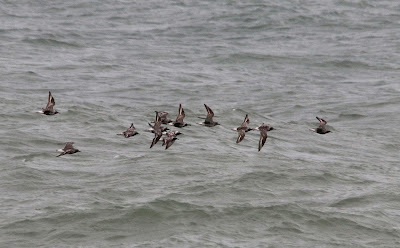 At least 12 Porpoises and the regular bull Grey Seal were feeding offshore. 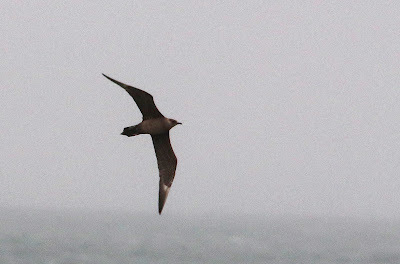 A Scarce Bordered Straw was trapped overnight and six Hummingbird Hawkmoths were seen during the day despite the mainly miserable weather.